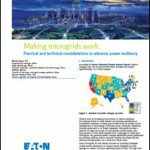 Navigant Research forecasts that annual revenue for off-grid power will exceed $25 billion in 2024 as remote areas of the world install microgrids and nanogrids. Nanogrids alone are expected to become a $17.5 billion annual business by 2024, driven by growing need to charge cellphones in the developing world. 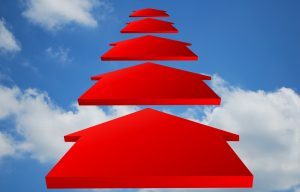 Smaller than microgrids, nanogrids also have the advantage of being perceived by investors as less risky than microgrids, according to Navigant. The growing market for off-grid power comes as groups like the United Nations and the World Bank set goals to electrify remote regions, said Peter Asmus, principal research analyst with Navigant Research. Achieving these goals depends largely on how much focus is placed on electrifying villages with microgrids and homes with nanogrids, he added. In all, Navigant expects the market for off-grid power to grow from $10.9 billion in 2015 to $196.5 billion in 2024. More details are available in Navigant’s report, Market Data: Remote Microgrids and Nanogrids. Stem, a California energy storage company, has won a commitment for up to $100 million from Connecticut investment firm Starwood Energy Group Global. This latest infusion brings Stem’s investment financing to $300 million. Investors appear to like the model that Stem established in 2013 to help commercial and industrial customers finance battery storage, what’s known as energy-storage-as-a-service. “This financing vehicle gives our customers access to capital and allows them to achieve the benefits of intelligent energy storage without making a major investment,” said John Carrington, CEO of Stem. Like the as-a-service model that helped catapult solar to success, Stem’s model allows customers to pay no upfront costs for equipment and installation. It also reduces electricity bills by up to 20 percent, according to Stem. Stem accrues revenue by selling services from the customer’s battery to the grid. The company now has 75 MWh of projects in operation or under contract in 480 U.S. locations. Safeway, Wells Fargo, and Adobe are among those using the Stem service. GTM Research estimates that U.S. market for Stem-like behind-the-meter energy storage grew more than 400 percent in 2015. By 2021, this sector is expected to account for up to 49 percent of the total energy storage market. Stem’s primary project financing comes from Generate Capital. Other project financing is also provided by Clean Feet Investors. The New York Public Service Commission is seeking comments by September 26 on changes in standby service tariffs that were filed by some of the state’s investor-owned utilities on August 1. The tariff revisions were ordered by the commission under Reforming the Energy Vision (REV), the state’s revamping of rules to create a more decentralized electric grid. The case (16-M-0430) also looks at other areas of rate design, including standby allocation matrix review, demand charges for commercial/Industrial customers, opt-in and mass market. Comments should be efiled with the commission secretary through the Department of Public Service’s Document and Matter Management System (DMM), or by e-mail to the Secretary at secretary@dps.ny.gov or by mail or hand delivery to Hon. Kathleen H. Burgess, Secretary, Three Empire Plaza, Albany, New York 12223-1350. 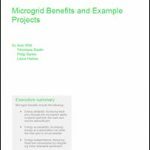 Track news about off-grid microgrids and nanogrids on Twitter @MicrogridNews.